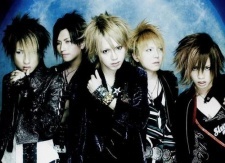 A9's, previously known as Alice Nine, musical style can mainly be described as J-Rock (Japanese Rock), differentiating between heavier songs and a more mainstream approach. In the past their music had a heavier sound as opposed to the sound of their new album, which contains a variation of lighter instruments and synthesizers. Like some other Visual Kei bands, as they progressed through the years, the band experimented and released songs that focus more on the mainstream public. To all POLISH (but not only) Dear Numbers! Like newly made Polish Street Team on Facebook and support us! Thanks! Do wszystkich POLSKICH (ale nie tylko) fanow! Zapraszam do polubienia i wspierania nowo powstalego Street Teamu A9!